Psychotherapy & Social Work Concepts, Inc. is a professional psychotherapy practice serving Suffolk and Nassau counties in Long Island, New York. 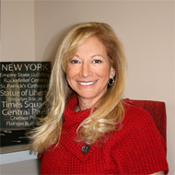 The company was founded in 2002 by Bonnie Haley, LCSW-R, a New York State Certified Social Worker. We succeed where others fail. There are several approaches to counseling and psychotherapy. Ms. Haley is a highly trained and skilled mental health provider, qualified to diagnose and treat various issues and challenges. No one treatment plan works well for all patients. Treatment needs to be tailored to the needs of the patient, and to the type of disorder. Ms. Haley works with patients to assess whether the treatment seems to be on track. Adjustments sometimes need to be made, since all patients respond differently to treatment. Our facility is especially designed to give each individual the tools they need to feel safe, accepted, complete, self-confident, and valuable. Through counseling and life coaching, we can assist you in healing, loving yourself, and accepting and resolving issues physically, emotionally, spiritually, and mentally. The world is fast paced and emotional strain can lead to confusion and stress. Family issues, emotional disorders, and other personal problems can have a serious effect on a person's life. Occasionally, families or individuals may find a need for guidance and support. Counseling can help ease the journey down a bumpy road.